Last weekend once again I’ve found myself travelling, this time to Warsaw for PLFA Coaching Clinic - we have enjoyed a great presentations by Coaches Franz Klein, Andreas Mees and Thorsten Scherer. Thank you gentlemen for the good job! On Monday morning I once again appeared at Adam Styczek NaStyku Tv Show, we were analyzing Super Bowl 48, the Offseason in PLFA and discussed Polish NBA Player Marcin Gortat Foundation and his other off the field initiatives. Michael Sam’s coming out is a major breakthrough in male major sports, one of the few last stands of Macho Culture in modern society. Earlier this week I compared it to Jesse Lewis entering MLB and Magic Johnson’s HIV press conference. Certainly we witnessed one of the history in the making moments. If ever there will be the remake of Jerry Maguire, the famous Jerry’s line will sound more like I love gay people, I love black people.. The shocking findings of the investigation proved that, despite the initial positive reaction Michael Sam’s journey will be uphill, at least at the beginning. The “locker room dynamics “ is a tribal environment filled with primal, instincts ruled with informal hierarchy. NFL, NCAA and football in Europe is a total different cup of tea. In some cases the bonds are strictly football in other you can find the us against the world bands of brothers. One of the greatest life experiences I got from being associated with football is the possibility to meet and interact with people from different cultures and backgrounds. I’ve been playing along Economics PHDs through students and young professionals to former convicted criminals. I will never forget the feeling of embarrassment and shame when I was taking one of my imports to his new flat and when we arrived the guy told us in face that he breaks the contract – because my player was African American. Football teaches us valuable lessons that resonates within us long after we step from the gridiron. Sometimes you pray you had armadillo skin or a pair of those magical headphones, that shut down the haters and critics. Football and sports is a great university of life and even though it doesn’t makes us immune to social pitfalls it gives us a great platform to impact and influence other people’s lives. 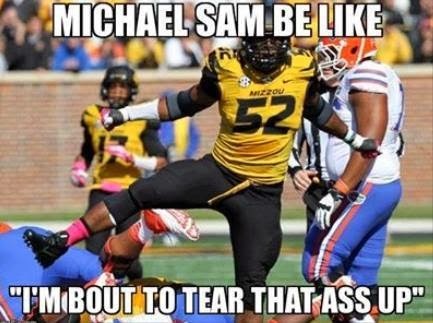 As for Michael Sam, on Friday I had the chance to attend a Google Hangout with Selena Roberts one of the prominent sports journalist and she pointed out correctly that he will be firstly assessed as player – a great story from Gregg A. Bedard on his Mizzou Season at MMQB – and his eventual success on the field may translate into other areas. In my previous paragraph I’ve made another remark to the social responsibility of athletes, which I think is a key importance. For the most part of the year we as Coaches, Players, Media and Contributors ask many questions – most of them can be summed up by how? - How to stop the zone read, attract more funds, get new sponsors. 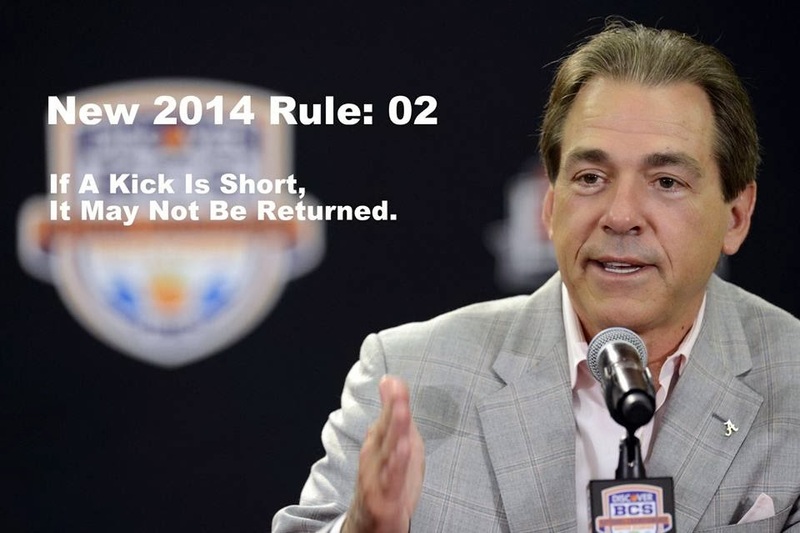 The offseason gives us the unique chance to self-scout, reflect and ask ourselves a much more important, fundamental question - WHY? Why are we involved in sports, namely American football? For physical fitness, social status, money? Or maybe is it about something more important? I’m going to leave you with these questions, because in my opinion these are the fundamental ones. Whether we like it or not we are not in today’s world we are not anonymus anymore. Surely the bigger stage you play, the bigger impact you can make and the bigger mouth you have the bigger your game has to be to back it up – just look at Richard Sherman. On the same token, internet and social media are a great tools that can be used in a number of positive creative ways. Without them, I would never have the chance to attend Sports and Society Classes at Duke University wit Professor Orin Starn – believe it or not this week our two main topics are homophobia in sports and our sports of the week is football! Sometimes however we get caught up in a flock mentality, this week frenzy the beer challenge. To set the record straight, if you are old enough surely you can drink, even get wasted. The problem arises when you are a semi-pro athlete and you promote it. Have you ever wondered why #BestBuds commercial featured a puppy and a horse not Pete Carroll and Russell Wilson? On the other hand if you alpha male - modern macho of postmodern gender, society have to prove your manhood by publicly drinking one beer? Now C’mon guys – got milk? And for the irony and surreal context of the whole trend, a vast part of the people who crucified Dale Heffron for his DUI incident, this time felt ok with young athletes promoting the stereotype of I’m cool because I drink . Our results oriented business is a 24hour treadmill, Tuesday brought us a front office earthquake in Cleveland with teams President Joe Banner and GM Michael Lombardi being fired. With HC departing I have the gut feeling that it will take whole bag of Kevin Kostner talent on Dreaft Day and a whole bag Johnny Manziel’s tricks to turn this franchise around - if you have the opportunity look at the Cleveland Browns 95 episode of the A Football Life. In Europe the arms race is going on, I want to congratulate Kendral Ellison signing with Saarland Hurricanes and Sebastien Sejean re-signing with Dresden Monarchs . 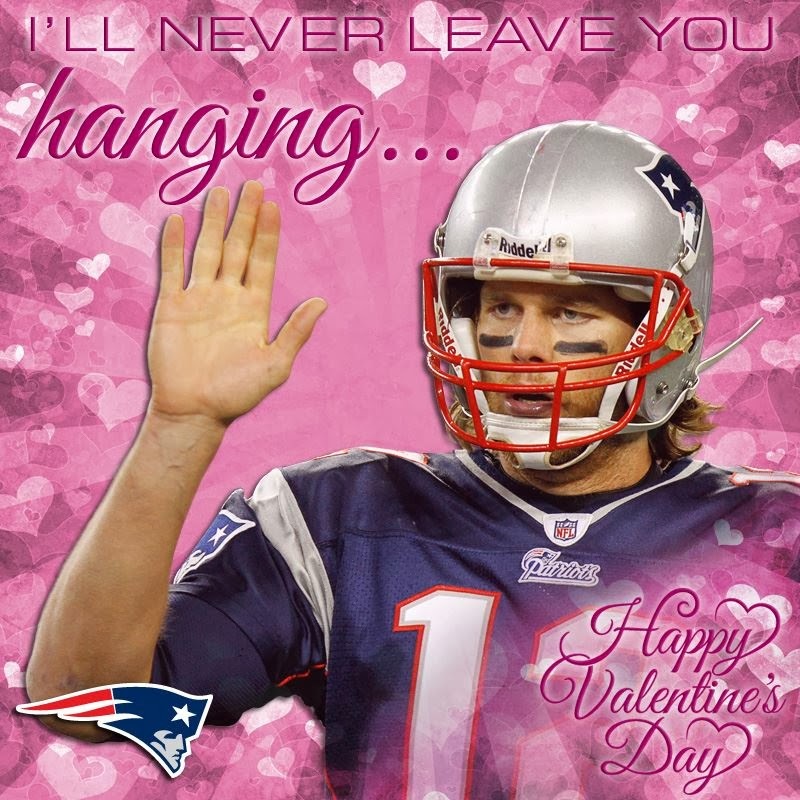 In case you missed it Friday was also St. Valentine’s day - New England Patriots have clearly defeated the rest of the football universe with posting two cards You make me smile picturing Bill Belichick and I’ll never leave you hanging with Tom Brady. I’m not an expert on relationships in fact, I have recently found out that women would make great defensive coordinators with their natural abilities to confuse us and disguise their true intentions. I do not always write about PLFA 1 teams but this is a perfect occasion to give some deserved love to Tytani Lublin. Few years ago I organized a Football Camp in Poznan with Aki Jones, Mark Philmore and Jacek Wallusch being part of the coaching staff. We had kids from different parts of Poland coming, we were impressed by few players from Lublin who covered 500kms one way to get there! Earlier today the news broke out that Tytani Lublin will operate a first in Poland, football centered High School class. The students will have more English, Biology and Physical Education in their curriculums and the School will offer dorms for any students willing to relocate. I started this week’s column by my memories from recent PLFA Clinic, this upcoming weekend 21-23 there are two interesting events taking place. In Prague CAAF and CAAF organize camp and coaching clinic with Jim Criner, Lynn Stynes and Philip Gardent – I will be there serving as assistant coach and cover the event for you. In Budapest the CoachLab 2014 will take place some, great lineup of speakers will be there including well known and respected Kirk Heidelberg. I want to congratulate my friend Istvan Kovacs for setting up this event.